John R. Filsinger of Clearfield died Saturday, Sept. 24, 2016 at the age of 95. He died peacefully in his sleep. He was born to Eugene and Mary (Loyan) Filsinger on Sept. 8, 1921 in Pittsburgh. He was married from 1949 to 1977 to Marjorie Filsinger until her death. He then married his current wife, Elaine (Guldalian)) Filsinger, in 1980. She survives. He is also survived by his son, Erik of Scottsdale, Ariz.; his daughter, Kristan of Savannah, Ga.; two grandchildren, Jennifer and Ryan; a great-granddaughter, Everleigh; and Elaine’s children, Gregory Sawyer of Seattle, Wash., and Alison Sawyer of Philadelphia. He served in the Army Air Corps from 1943 to 1946, and he was stationed in Jamaica and Tampico, Mexico as a cryptographer. He attended Theil College in Greenville and graduated with a Bachelor’s degree in 1948. He earned a Master of Arts degree in literature at Syracuse University before moving to Clearfield in 1949. He taught Spanish and was the head of the Language Department at the Clearfield Area High School from 1949 to 1982. He also was the golf coach for the high school. As a teenager, he’d won local golf championships, and he’d carried his golf career into his retirement. He belonged to the Clearfield and Treasure Lake Country Clubs. Later on, he was a frequent visitor to Grandview Golf Club of Lumber City. During World War II, he developed a life-long love affair with mountaineering and was a climbing leader for the Colorado Mountain Club and the Iowa Mountaineers. He climbed with many of the personalities of the mountaineering scene in the United States during the 1950’s to 1970’s. He also was a climbing leader for Mountain Travel/Sorbek. During this avocational career, he led trips to the Canadian Rockies, Colorado, the Pacific Northwest, Mexico, Switzerland, France, Italy, Japan, Peru and Nepal. Later in life, he continued his world travels with Elaine. He was active in Trinity United Methodist Church of Clearfield, where he sang in the choir and played musical instruments. He was able to quote long poems from memory late in his life. He also loved to paint and engaged in sculpture. His performance as Don Quixote in a Clearfield Arts Studio production of Man of La Mancha was a highlight of his musical career. Honoring Mr. Filsinger’s wishes, there will be no public visitation. A Celebration of Life Service will be announced at a later date. The family requests that donations in honor of John and Marjorie Filsinger may be made to the Spanish Honor Society, c/o Clearfield High School, 2831 Washington Ave., Clearfield, PA 16830. The Bennett & Houser Funeral Home Inc. of Clearfield is in charge of the arrangements. 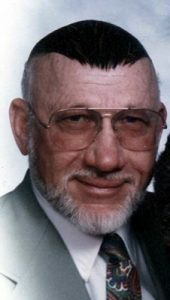 To send online tributes, go to www.bennettandhouser.com or www.mem.com.